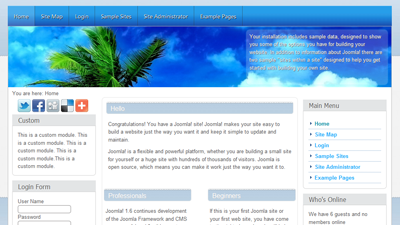 I am beginning to use Joomla 1.6. When I try to use the extension manager to install the extracted template files, I get a warning “fail to load external entity /var/www/html/joomla2/templates/Holiday4ever-TG/templateDetails.xml”. The xml file does not seem to be corrupted. I assume I am making a boneheaded error but I can not determine what I am doing wrong.